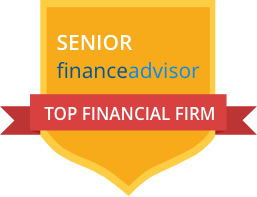 We strategically compiled top financial advisory firms in the Georgia area to not only save you time, but also help you find a knowledgeable, local financial advisor. These top financial advisory firms in Atlanta were carefully selected based on the firms who manage the most, and largest, client accounts — known as assets under management (AUM) — and also the firms who have the most recommendations and highest reviews. This list of top financial advisors in Atlanta can help you narrow your search and give you peace of mind that you’re hiring a capable, reputable financial professional. 3 . Brownson, Rehmus & Foxworth, Inc.
4 . Mercer Global Advisors Inc.
How do we make our selections? Reviews that the firm has received. Firms manage at least $100 Million in assets. Firms provide financial planning and investment services. The help of an expert financial advisor can help you not only get organized, but also get prepared for your future. Read each firms description below to discern whether their advisors might be the right fit. Once you narrow your list, here are top questions to ask a financial advisor before hiring. Financial Engines was founded in 1996 and has been providing individuals, families and Fortune 500 companies financial guidance ever since. They provide the convenience of a local service, but offer national resources. The investment advisory firm offers fiduciary services, meaning they are legally and ethically required to put client interests before their own. Financial Engines strives to offer objective financial advice to help their clients build a better financial future, and even offer a call-in radio program, “Financial Engines’ Investing Sense”, which airs in over 70 markets across the U.S. and brings comprehensive, useful and entertaining financial wisdom and advice to whoever is willing to tune-in. They cater financial portfolios and plans based on their clients’ unique needs. Their advisors help you strategize a personal investment plan so you can reach your financial goals and communicate progress toward goals over your investment time horizon. In 2018, they merged with Edelman Financial Services. Financial Engines remains the brand in the company’s workplace business, and is the largest independent registered investment advisor in the nation today, serving over 1 million people with over $150 Billion assets under management. The Edelman Financial Engine Atlanta office is by appointment only and is located near downtown, overlooking the Hartsfield-Jackson Atlanta International Airport. Requires a $50,000 minimum investment and charges a blended rate between 1.50% and 0.90% for ongoing portfolio management services, depending on the size of the portfolio. True to Fisher’s vision, the independent money-management firm has been enjoying the trust of businesses, individuals, couples and families for more than 35 years and manages over $100 billion in assets for individual investors and institutional investors across North America and Europe. Fisher Investments serves over 50,000 private clients and global investing expertise. The Atlanta, Georgia office is located in The Perimeter Center near the Turner McDonald Parkway. The office provides a convenient, local location for those living in the Atlanta metropolitan area to learn more about our portfolio management services and investment opportunities. Generally works with clients who have at least $500,000 in investable assets, though they may accept smaller accounts at the advisor’s discretion. The firm has a lower expected minimum for its WealthBuilder account. For these accounts, Fisher Investments seeks a minimum of $200,000 in investable assets. 3. Brownson, Rehmus & Foxworth, Inc.
About Brownson, Rehmus & Foxworth, Inc.
Brownson, Rehmus & Foxworth has been an independent investment advice and financial counseling firm for clients since 1969. The firm federally registered in 2014, is a registered investment advisor in 21 states with a licensed staff of 47 advisors. The firm manages $11 Billion and provides investment advisory services for 947 clients. The Atlanta office has been serving clients for over 20 years. They pride themselves on “advising clients on all aspects of their lives that have financial implications.” They customize their advice and services based on each client’s individual goals, needs and circumstances, and they boast that their “objectivity, expertise, comprehensiveness and close-working relationships” give them client trust. Brownson, Rehmus & Foxworth use a transparent fee-only model, a trusted custodian and have a good client-to-advisor ratio with one licensed advisor for every 21 clients (in an industry where the average is 1 advisor to 50 clients). Management fees typically vary from 0.15% to 1.00% of assets under management. 4. Mercer Global Advisors Inc.
About Mercer Global Advisors Inc.
Mercer Global Advisors is a registered investment advisor with many offices across the U.S. Their founder, Kendrick Mercer started the firm as a law practice in 1985 to work with clients to give them the best service possible and deliver economic freedom so “they don’t have to worry about money.” They have been offering financial services in their Atlanta location since 2008. As a full-service wealth management firm, the firm looks at your financial life holistically by blending investment advice, financial planning and real-life goal-setting. The Seattle team of wealth management experts includes Certified Financial Planners, investment advisors and strategists, estate planners, attorneys and Certified Public Accountants. The advisors follow the fiduciary standard to put clients’ needs and interests first, and they have been successful for over 30 years helping families navigate their financial needs from starting out in life and building financial portfolios to enjoying retirement. Mercer Global Advisors uses a transparent, fee-only model and a trusted custodian. The annual management fee for ongoing portfolio management services is negotiable. Requires a $250,000 minimum investment. Homrich Berg is a fee-only advisory firm that was started by David Homrich and Andy Berg over 30 years ago on the belief that “investors deserve unbiased advice” according to the website. The firm includes advisors with many credentials, including certified financial planners (CPFs), certified public accountants (CPAs) and chartered financial analysts (CFAs). Homrich Berg Wealth Management’s Atlanta office opened in 2008 and specializes in individualized and objective wealth management advice. The firm has received national recognition by Barron as one of the nation’s top 100 independent financial advisors for the 10th year in a row in 2017. The “Homrich Berg Difference” was created to meet clients’ unique needs by offering fiduciary services, comprehensive handling of investments and financial planning, expertise from a financial team of certified advisors, technology offerings, alternative investment offerings and personalized service. Homrich Berg keeps clients well-informed through a variety of resources and offers a 24/7 online reporting platform that offers a complete view of their investment portfolios. They financial advisory firm also sponsors conferences and holds social gatherings for clients in addition to heir regular investment communications. SignatureFD is a fee-based financial advisory firm that was founded in 1997 and focuses on providing personalized financial plans based on clients’ unique needs. The firm takes a threefold approach to investment that includes maximizing returns, minimizing taxes and expenses and controlling risk through proper diversification. The firm has a team of financial professionals, including certified public accountants (CPAs), chartered financial analysts (CFAs), certified divorce financial analysts (CDFAs), certified trust and financial advisors (CTFAs) and retirement income certified professionals (RICP). The Atlanta office is the headquarters and SignatureFD also has a North Carolina office. SignatureFD offers fiduciary services, provides monthly events and regular educational resources for clients. They also provide unique signature initiatives aimed to meet the needs of diverse client groups, including SignatureEXEC, SignatureHealth, SignatureGENEROSITY, SignatureLAW, SignatureWOMEN and SignatureWOMEN. These signature services provide specialized approaches toward meeting financial goals for these groups. Requires a $2,000,000 minimum investment. Modera Wealth Management offers fee-only wealth management and financial planning services with a fiduciary commitment to clients. The financial firm has many U.S. offices, and the Atlanta office professionals all hold the Certified Financial Planner (CFP) credential and some have the Chartered Financial Analyst (CFA) and Certified Public Accountant certification. Modera works with individuals, families, trusts, institutions and philanthropic organizations to build customized plans and portfolios in their best interests. They have gained a loyal client-base by providing objective advice, personal attention and comprehensive resources to help clients reach their unique financial goals, no matter the nuances. Modera says they are committed to helping clients make “informed financial decisions.” The annual fee generally ranges from 0.15 percent to 1.00 percent of the assets under management for wealth management services. Requires a $1,000,000 minimum investment. Berman Capital Advisors is a fee-only firm that was established in 2010 and is known for the advisors investing side-by-side with the clients. The financial advisory firm was named among the nation’s top 300 registered investment advisors in Financial Times in 2017 and offers financial expertise in mutual funds and exchange-traded funds in individual, customized portfolios that are created with a focus on minimizing risk and protecting capital. Berman Capital offers expertise in many financial areas, including wealth management, estate planning, tax planning, risk management and holistic financial planning. They rely heavily on research for their portfolio construction and perform on-site visits and interviews to evaluate their staff. They require a minimum investment of $5 Million which is quite high, but they are known for their transparency and commitment to clients. Requires a $5,000,000 minimum investment. Nicholas Hoffman & Company is a multi-family financial office that was founded in 2007 and offers a broad set of financial service planning and wealth management services to clients. The financial firm started as a three-person office and has grown into a fifteen-person team that manages almost $870 Million dollars and requires a $0 minimum investment. Nicholas Hoffman & Company offers a broad reach and expertise in both the public and private markets and specializes in comprehensive investment options that are complemented by their suite of wealth planning services. With a transparent financial reporting model that helps their clients track progress and their detailed, strategic planning that is catered to meet clients’ unique financial needs, Nicholas Hoffman & Company helps clients make informed financial decisions. They are headquartered in Atlanta, Georgia, but are registered in states across the U.S. Sorting through the hundreds of financial advisor firms in Atlanta can be a time-consuming undertaking, so this narrowed-down list of top firms should help. Remember that it’s important to do your homework when choosing a financial advisor. Advisors should be able to directly answer your questions with detailed, documented proof of their fee structure, standards, code of ethics and policies. This list of top financial advisor firms in Atlanta can help you find an advisor who not only meets your unique needs, but also gives you financial confidence for a successful future. Remember that your retirement portfolio and assets are one of the most important investments you’ll ever make, so you want to choose a financial advisor who is right for you and your financial goals. are headquartered in the U.S.